Formula Motorsports is the dominant and progressive leader in comprehensive Porsche Service for ALL models from 911-Cayenne. Serving as one of the first Bosch Certified Service Locations in the U.S. Formula Motorsports and its team are always at the forefront of the newest and most exciting technologies. From Webber carburetors to today's elaborate Hybrid systems on the Cayenne, Macan, Panamera, and 918 all the way to the entire 991.2 Turbo Charged engine lineup. Formula Motorsports uses ONLY Porsche OEM parts and performs each repair/diagnosis based on Porsche processes'. 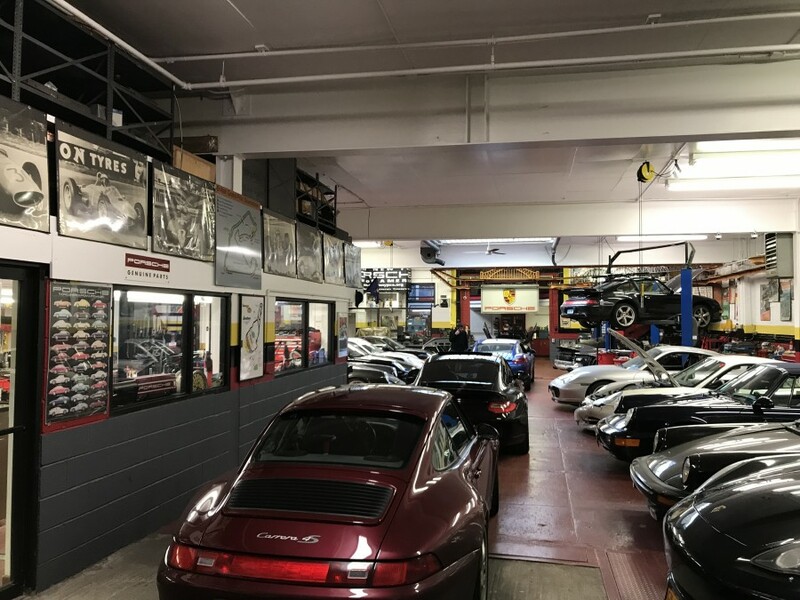 For 50 years Formula Motorsports is the ONLY exclusive Porsche repair center NYC offering ALL Porsche repairs inclusive of Porsche Scheduled Maintenance, Porsche Collision Repairs, Porsche Restoration, Porsche Racing. We maintain a 99% five star client satisfaction rating (see review site ratings). Formula is the proven best Porsche Tuning & Porsche dealer alternative. 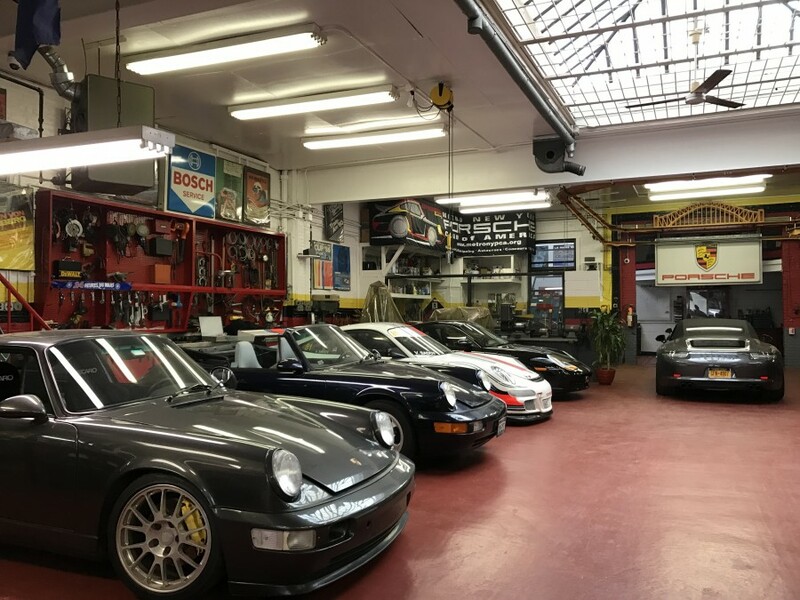 At Formula Motorsports we can perform most services such as Porsche oil change same day, we are conveniently located 8 minutes from 59th/Lex via the N, R, Q, 7, M, G subway line or Woodside LIIR. 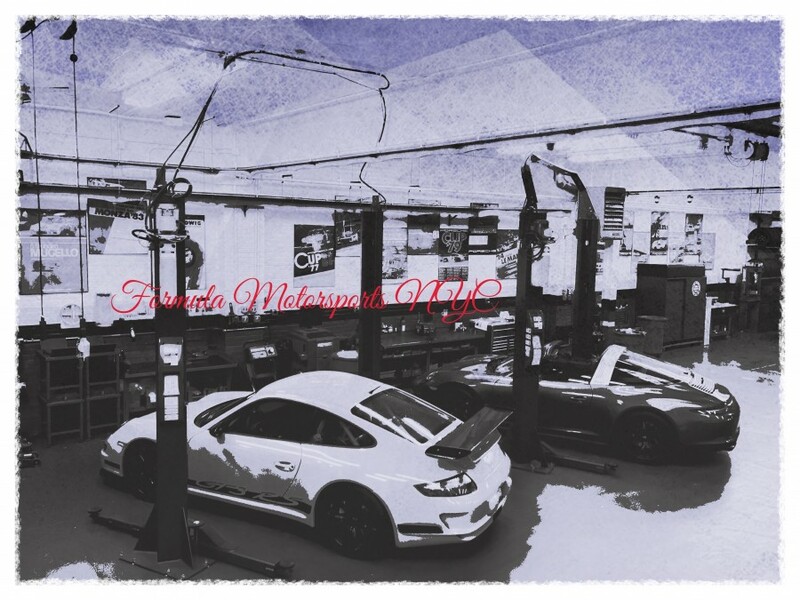 The Formula Motorsports team offers services for ALL Porsche model lines inclusive of the 911, Cayman, Boxster, Cayenne, Panamera, Macan, Hybrid, and GT models. Porsche Dealer NYC alternative for new 991 turbo base lineup repairs. Campaigning Porsche Supercup, Porsche GT3, Porsche GT2, historic, and Carrera GT for over 15 years, combined with a network of vendors globally. Formula Motorsports also sources, buys, and sells Porsche cars globally as well as accept consignments. 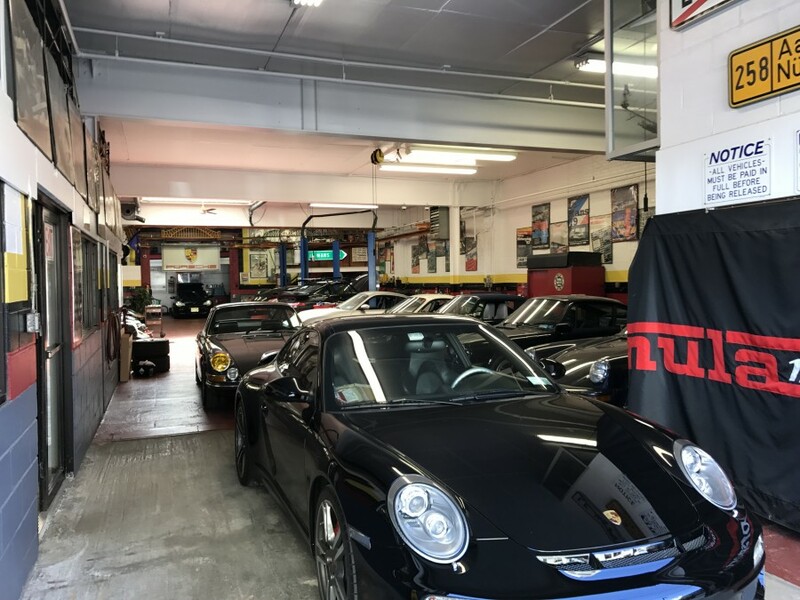 Our client's can conveniently reach us from Porsche Manhattan, Porsche Queens, Bronx, Staten Island, Long Island, Westchester, Northern New Jersey, and Connecticut. Formula Motorsports also offers Porsche transport both domestic and global to/from client. Mark, owner of Formula Motorsports, is a graduate of N.Y.U. in Mechanical Engineering in addition to a degree in Bachelor of Science at St. Francis College. Mark has been employed by Porsche AG of Germany and USA for 11 years and has won over 100 races and awards. Mark has held the position of President of Porsche Club of America, twice, and currently is the Technical Chairman! Mark's son, Michael joined Formula Motorsports at the early age of 16 and has been an integral part of the many successes of FM over the past decades. After completing his graduate work, Michael worked within the private equity space and spent some years as a trader in various asset classes for RBC Capital Markets. In 2008 Michael was lured back to his passion for the Porsche brand and has quickly become a a welcome asset in the Porsche community in NYC. You will find his passion for Porsche, academic background in various scientific disciplines, and intellect second to none in this competitive space. Through Michael, FM is the only Porsche service facility which offers not only technical knowledge, but a client service arm that offers direction in aspects of both automobile investment advice (using various investment vehicles in order to limit exposure to ever changing market prices and automobile liquidity) and collection growth/consolidation. Each employee of FM has not only 15+ years of exclusive Porsche experience, but also has a degree in their respective fields. Expert Porsche repair serving New York City, Long Island, Queens, Astoria, and Manhattan. After getting delivered my dreamer I chose Formula Motorsports to perform the paint protection required. I had Michael install an xpel wrap on my entire car at a price which was not cheap. The install was flawless. Perfect! Given the investment I made in a 911 R I was worried but I was steered to them by a friend who was a client already. I believe I received what I paid for and then some. Before the fact the job was quoted and he stood behind it even though they had to remove the bumpers, lights and replace my badging. He had the factory template for the badge so I was not worried. Next step is a bar to hold my belts which I am entrusting them again for a flawless install. I could not be happier with the time it took or the quality I got back. I am happy to leave this review as requested. I'm very happy to find Mike and Formula Motorsports. Quick note there is a car wash called formula 1-this is not the same place! Spending over one hundred thousand dollars on a car at porsche and having an issue within the first few thousand miles is very disappointing . I brought the car to my dealer in NJ a total of three times to solve my engine light that came on with no luck. Having heard from coworkers who both had a Porsche this was certainly an issue that must be addressed. Off one of their recommendations I emailed Mike who responded back with exactly what he thought the issue was with all of the technical information one would expect from a factory engineer. I did have to wait 3 days before bringing in my car as they we booked. Get this. Car was repaired the same day I brought it in. Mike purchased the part needed from Porsche and done! Turned out to be a sensor part. What does it matter. Point is job got done quick and right. Was not cheap by no stretch of the imagination but I was more than fine with paying to have a problem no one else could fix get fixed. Mike did explain to me that in a service like this without having Porsche software and documentation the neighborhood and even porsche mechanic at the dealer would be lost and not to blame them. I will say he comes off a little blunt but I rather someone coming off blunt and confident than confused and deflecting my issue blaming my driving which I was told form the dealer. Like all the other reviewers I will recommend Mike and all the guys there and will be using them for everything. Very disappointed with dealer service. I felt they really had no idea about Porsche repairs and were there to sell cars only. I wish they would have had at least one person who knew about cars after I spent six figures with them. Formula Motorsport was my first choice to swap my exhaust on my GT3 and it's first oil and filer replacement. Basically the three guys I know at my job who are Porsche owners referred me and are current clients. From what I was told from my friends and the staff at the shop they are the pinnacle of this Porsche thing. I saw some other garage type operations on the internet but after paying 160000K for my car it deserves the real experts. Car was serviced in one day and I was able to learn everything about it as they had a 14 model completely taken apart to chassis. The expertise it must take to completely reassemble and repair the entire car is something. If your a street driver or track driver this is the place. Had an accident with my Carrera S and was recommended by a friend to Formula Motorsports. From start to finish I was totally confident that the job was going to be performed as if it was in the factory. I was able to look at a black 991 Turbo that just had the nose painted which made me feel much better about the process. They dealt with insurance and made sure job was done perfect. Had multiple friends mention orange peel and so forth so I knew what to look for. Job was flawless. Would certainly recommend to a friend and they will now be the only place I take my car for service and upgrades. Bought a Cayman S mostly for going out east during the summer and Driver Ed days at the track. Michael was very upfront with me about making changes to the car considering I am a novice in the sport. Unlike the shop I brought the car into on LI for an initial oil change I was not marketed aftermarket items or pressured at Formula. They made the whole experience was what one would come to expect from a Porsche center. They are not going to be the cheapest when it comes to the indy shops but about 50% less than what I was quoted at my dealer. Looking forward to attending their events in Manhattan as I hear from other clients they are very nice. I used Formula Motorsports for an out of town PPI on a car I was considering in the New York area. It was nice to deal with people who really know what they are doing, are professional in their work and provide a high quality of service. Their insight and opinions on this potential purchase was extremely helpful in my decision process. These guys offer honest advice and their feedback was greatly valued. It is obvious that the guys at Formula Motorsports really know what they are doing. As far as I am concerned, their advice is priceless in regard to my purchase decision and well worth the cost of the inspection. If I lived in the area, these are the guys I would use for all my Porsche needs. Best Porsche Service I have ever had. The guys at Formula Motorsports are Porsche pros! i brought my car in for service and they accurately identified all of the issues that needed to be addressed to ensure my car remained roadworthy and fun to drive. i especially appreciated their fast turnaround, and an emphasis on only making necessary repairs instead of hunting for reasons to inflate the bill like some other mechanics do. don't get me wrong, they're not cheap, but they are highly knowledgeable when it comes to performance cars. I have been a customer at Formula for over 2 years and I would highly recommend them to any Porsche owner. Besides their high level of knowledge and craftsmanship, you get a secure sense of honestly which is really hard to fine with any auto shop. Mark's resume is one of the best in the business as he has been doing this longer than I have been alive. And, Michael is a great guy! I own an older 911; and, I have watched them slowly transform my car into a world-class restored classic. As a result I have been a customer of all facets of their business, and I could not be happier! Quality, efficiency and honesty are hard to beat. Formula Motorsports is a winner. Mark and Michael at Formula Motorsports are the only people I'll ever trust with my '87 Carrera, as their work is always timely and flawless. Their knowledge and expertise regarding all things Porsche is beyond impressive...and, I find their shop to be somewhat of a sanctuary from daily life. Whenever I pick my car up; they'll walk me around and discuss the various Porsches they're currently working on after offering me a drink, which always helps take the sting out of the money I'm spending on repairs. They're not only experts in their craft; they've also mastered the art of customer service. My '01 996 C4 recently "stranded" me on the Upper West Side of New York City when its hydraulic clutch line blew out (and some other related issues) while pulling into a parking garage. 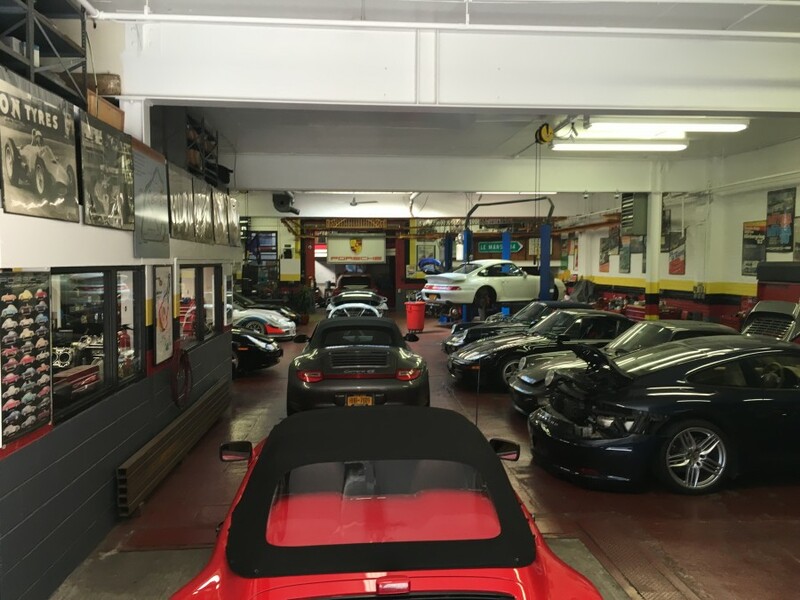 Although getting the car to nearby Manhattan Motorcars, Technik1 or Manhattan Auto Repair would have been a lot easier, I opted instead to have it flatbedded over to Michael Tashjian at Formula Motorsports in Long Island City. This was my first experience with this shop and with Michael. Michael was thorough and professional from the initial contact through the day I picked up the car. He informed me of not only the best and most expensive option(s) available but also of the quickest and least costly path to getting back on the road. He repaired the car quickly and when a small misunderstanding arose in regard to the invoice, he showed an unsual and refreshing level of open-mindedness in his approach and final resolution; especially since the misunderstanding was really wihin me alone. The guy knows his stuff cold, he runs a neat and organized shop, he takes all the time in the world on the phone and in person to explain everything, and he's a true Porsche and racing nut as well he should be! I recommend Michael and Formula Motorsports without reservation. Long Island City sounds far, but it's not. I'll be back! Formula Motorsports was awesome! These guys were building a cup car engine and a GT3 one at once in an engine room. They had literally 25 Porsche's in their shop and a Carerra GT and the owners 962. Totally worth the effort from NJ to get there. A+ Thanks guys for replacing the front of my GT3- yeah Watkins Glen got me (you know how those guard rails chase you. I've been bringing my 'baby' to Mark at Formula Motorsports for over 15 years now (meaning I started using him when I was only 16, naturally!) but in all honesty, I have checked out other repair shops in the area, and there is no doubt that Mark knows his stuff. He won't bs you though, so get ready for what could be some tough love, but frankly, that's what you should want when tending to such a beautiful piece of machinery. Mark's a great guy, you can tell how well respected he is in the automoible community because there are always people just stopping in the shop. I find myself coming by in between necessary visits just to see what's new, he's always got something unbelievable in for everyone to see, and he's always got a great story to go with it. He races too (if you are involved in the PCA community, you already know this as he has quite a following) but same deal with his coaching, he's the real deal. One of the last tried and true Porsche fanatics, an automobile hero in my eyes! Here's a man who makes a living doing what the rest of us only dreamt of doing in our 20's...and he's damn good at it too. See you at the track in the Spring Mark and crew!